LanTen Metering Services provide the leading metering, billing and customer management service for Landlords who operate private energy networks. Our focus is simple – to provide unrivaled customer satisfaction to Landlords who want clear and simple energy billing and metering. We use proven systems that provide ease of use and choice of payment method. Our clients want peace of mind that their energy bills are being collected in an efficient, low cost manner, without debt risk. Our operating systems are open protocol, providing Landlords with flexibility and avoiding long term contract tie-ins. LanTen’s HeatPlus™ provides a sophisticated turnkey solution covering both installation and maintenance of new generation prepayment meters and handling funds flow from Tenant prepayment to Landlords. Why LanTen Prepayment Metering and Billing Solution? 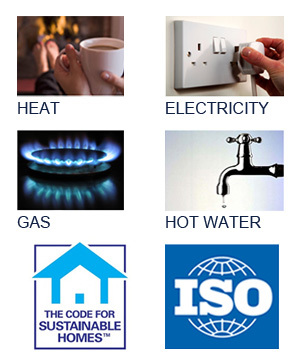 The solution is designed to offer considerable benefits to Landlords and Tenants Our Pre-payment metering solutions places the responsibility for heat and energy supply entirely in the hands of the Tenant, thus reducing the financial risk to the Landlord who can never be placed in the ‘cut-off’ decision conundrum. Tenants on the other hand have access to a simple to use touch screen facility to help them manage, budget and pay for their energy. As the meter supply, installation and maintenance of HeatPlus™ operates outside the remit of Registered Social Landlords (RSLs), this turnkey solution is particularly attractive to Social Housing Landlords as it negates the administrative burden and responsibility for the billing and collection for energy.